Walk into the home from the front into your living room, with the Smart TV mounted on the wall and pull out sofa in front. Lovely front porch for enjoying your morning cup of coffee. Contact our Long Term Rental Department for more information on renting this home for one month or longer! 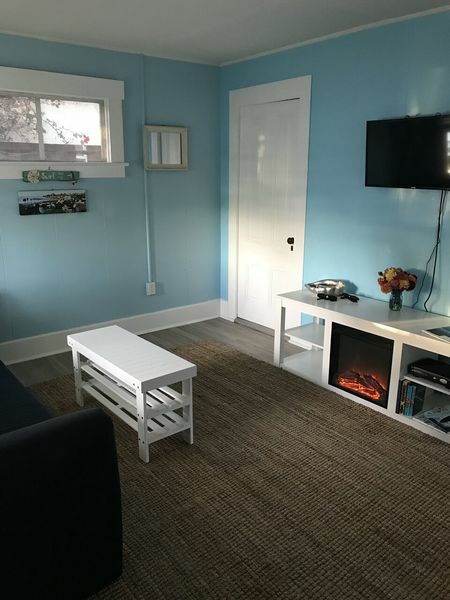 Enjoy your extended stay (one month or longer) in Capitola at this single-level large 1 bedroom, 1 bathroom beach house cottage. 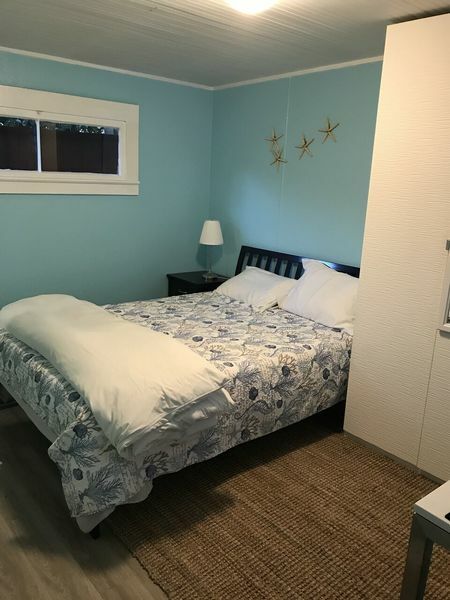 Located in the quiet and family-friendly Depot Hill neighborhood, overlooking Capitola Village, this darling beach house sleeps up to 4 guests. 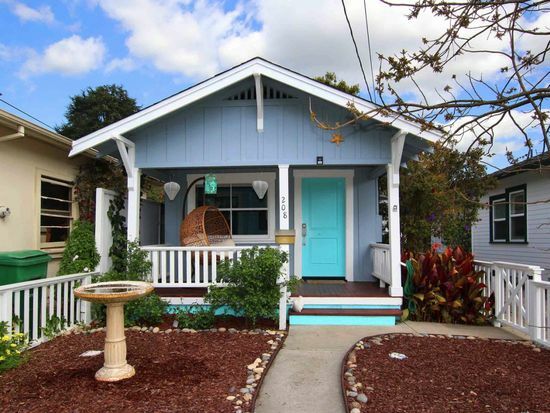 This is a truly charming house located in the highly sought after Depot Hill neighborhood. The beautifully manicured front yard and bright blue, aquamarine door is the perfect way to welcome you home at this darling beach house. 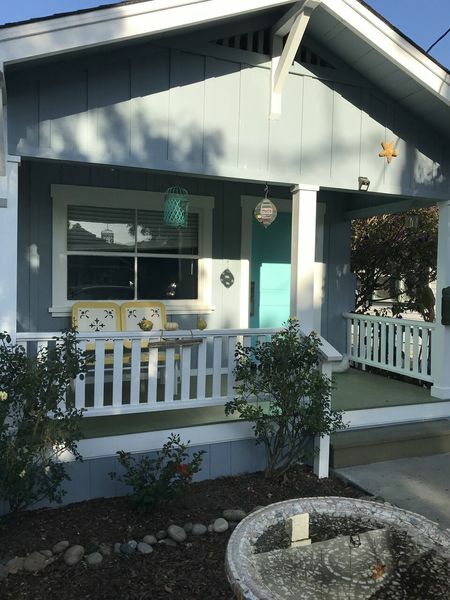 Relax on your very own front porch excellent for people watching, enjoying your morning cup of coffee or evening sunset viewing with a glass of wine in hand. 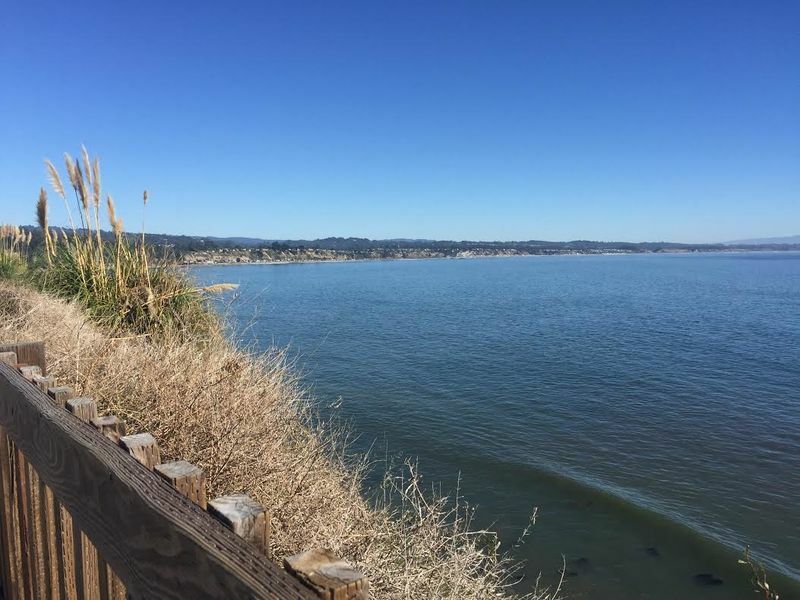 The Capitola Cliffs with views of the Monterey Bay are just steps away from your one bedroom oasis. From this amazing spot you'll see breathtaking sunrises over the ocean, surfers and stand-up paddle boarders making their way across the horizon in the early morning mist, and birds soaring over the beautiful landscape. To the right, walk into your fully stocked kitchen with tons of counter space and cabinet storage. Let the afternoon sun shine in from the side window as you chop veggies with friends for your fantastic dish. 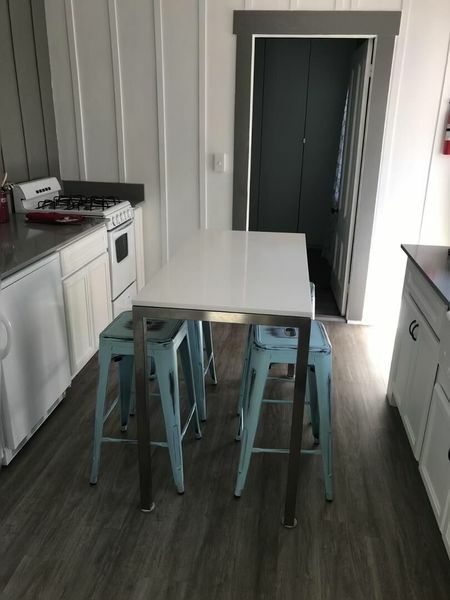 In the middle of the kitchen is your dining table with 4 stools to sit around and enjoy a delicious meal. Toward the back of the home you will have a restful nights' sleep in the bedroom with Queen-sized bed with lots of storage space. If you sleep with the window open you will hear waves crashing gently in the distance as you fall asleep. 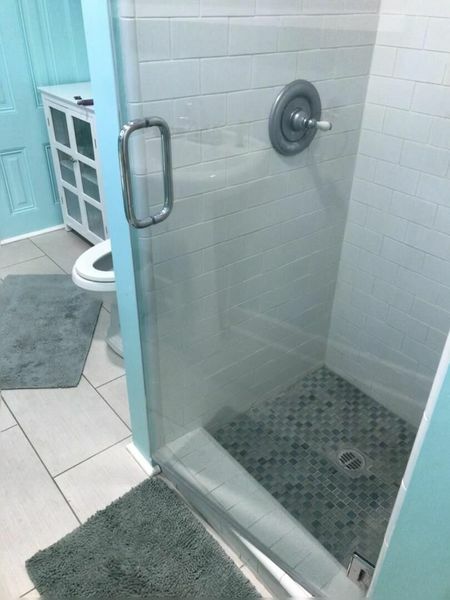 The bathroom with stand-up shower is attached to the bedroom. Enjoy relaxing in your private, large and lovely backyard and BBQ up a storm on the new Weber propane grill. There is seating for 4 around the patio table and a huge, fluffy white chair perfect for reading and relaxing. 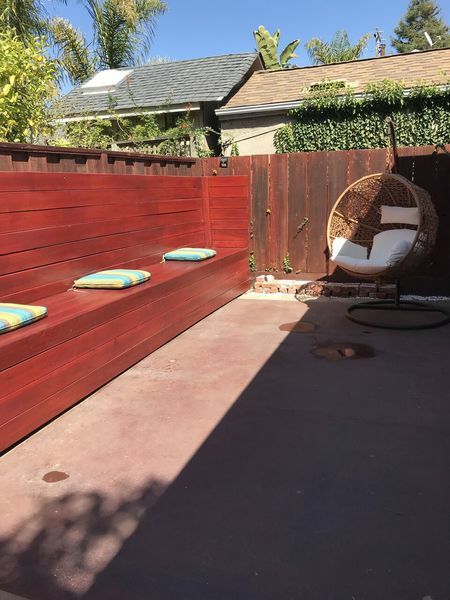 Also included around the corner in the backyard are enclosed and covered storage racks for your surfboard and/or SUP board or storing your bikes. This is the perfect spot for a Sunday afternoon gathering with friends. 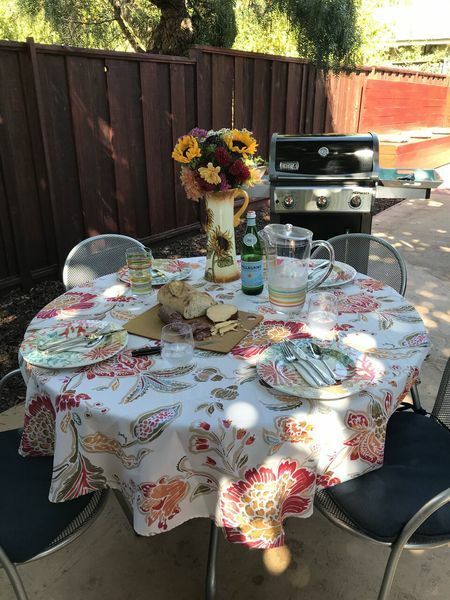 Spend hours chatting and sipping cocktails and grilling before walking down to the nearby Capitola Village for a nightcap or evening ice cream cone. Really though, the proximity of this house to the ocean is unbeatable - just 6 houses from the bluff with its epic views of the entire Monterey Bay. Street parking (permit provided for the Summer months). Washer and dryer inside the home for your convenience. NOT dog friendly. Take a 10 minute drive to Santa Cruz for a quick trip or spend the whole day enjoying Monterey, Carmel or Big Sur! There are endless possibilities of things to do in this area.